27: Aviators Paradise Breakfast Fly in. The Gps Coördinates , S25 40' 33" E027 49' 57. Please Come And Enjoy Our Spectacular Breakfasts and Enjoy The Day With Us. For The Bat-Hawk Breakfast Flights Please book Now. 0762085790 or 0814114729. 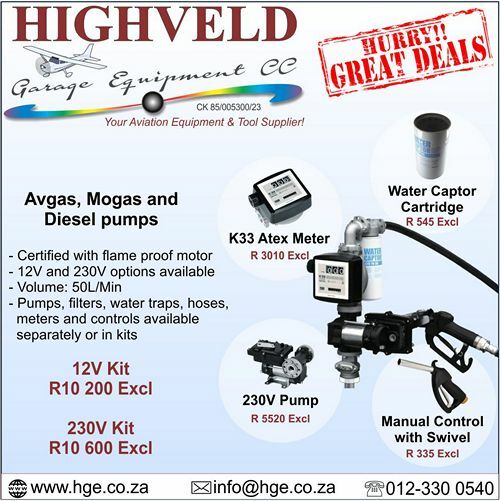 Avgas Also Available. The Aero Club Airweek is an aviation event just for aviators. No public spectators, just aviation enthusiasts, like you. 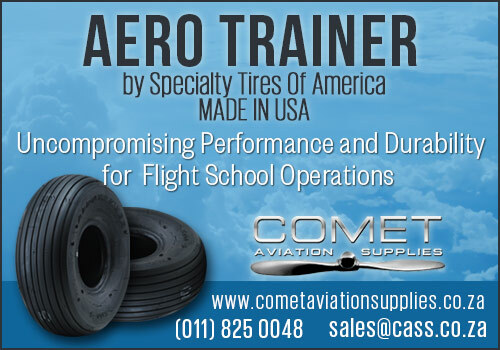 Our members love aircraft, and anything that flies. 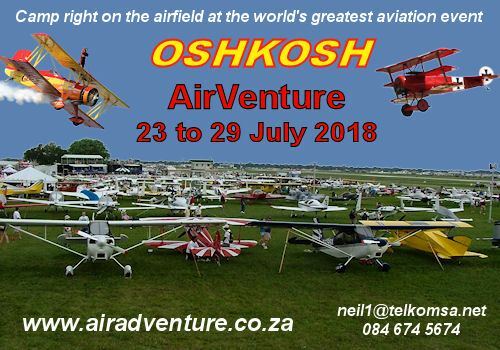 From models to jets, aerobatics, gyrocopters, microlights, light sport aircraft, ultralights, gliders, motor gliders, vintage aircraft, and helicopters; and much more. Airshows seem to display the same things, all spectacular but aircraft that generally cost tons of money or are aimed at the public not fellow aviation enthusiasts. Our members expressed a need to walk around aircraft of all shapes and sized, and inspect anything that catches their interest, and have a discussion with experts. If you ever wanted to walk around and look at a hot air balloon, or a self-sustaining glider, this is your chance. 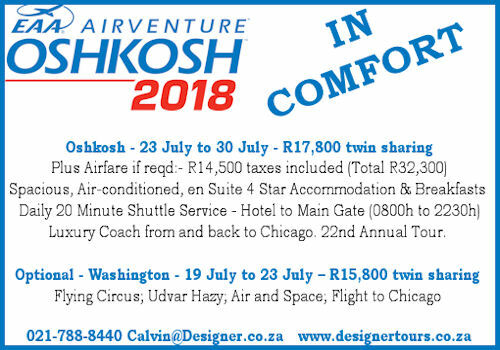 Airweek is designed to be just that - Aviation showcase for aviators. Camping on the airfield is encouraged. Forums to ask any questions and learn. 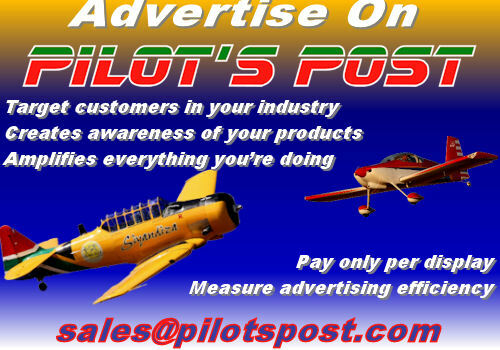 Buy and sell aviation related goods. Find aircraft parts from the boot sale. This is the opportunity to look at old and new aircraft that whet your interest. Meet old friends and make new ones. A miniature South African Oshkosh. 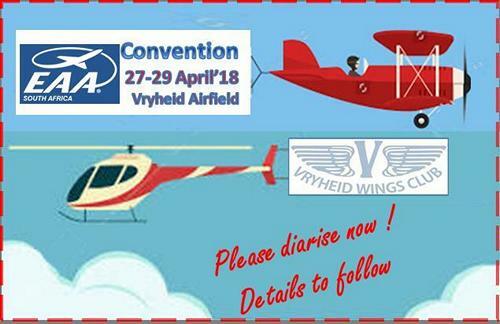 It is the one not to miss because everyone there loves aviation. Middleburg Aero Club has been selected to host the 2018 Aero Club Air Week. 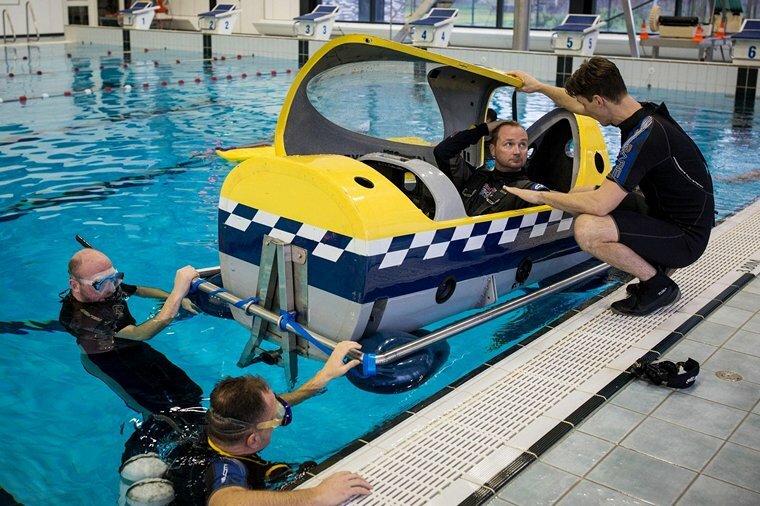 Ahead of the first round of the 2018 season, the newest members of the Red Bull Air Race Challenger Class, South Africa's Patrick Davidson and Italian Dario Costa, were put through their paces with a series of underwater emergency escape techniques, known as "Shallow Water Egress Training" (SWET). SWET enables the pilots to develop specific safety skills and gain valuable experience by practicing underwater escape techniques in a realistic environment. Under the guidance of a specialist team and using a stripped back fuselage submerged in a pool, the pilots carried out a series of drills designed to familiarise them with breathing apparatus, as well as the correct techniques for exiting a fuselage under water and dealing with disorientation. If you ask any one of the 10 Challenger Class pilots how they feel about switching to the Edge, the same word comes up over and over again: "Excited." The Red Bull Air Race demands skills like no other type of flying or motorsport competition. The Challenger Cup was conceived in 2014 to help the next generation of highly talented pilots build on their experience and develop Air Racing skills under the guidance of former pilots Klaus Schrodt, Sergey Rakhmanin and current Race Director Steve Jones. The feeder series has proven to be a great success, with seven pilots promoted into the Master Class so far (including Great Britain's Ben Murphy, who joins the World Championship in 2018). Four of them have already claimed podiums. 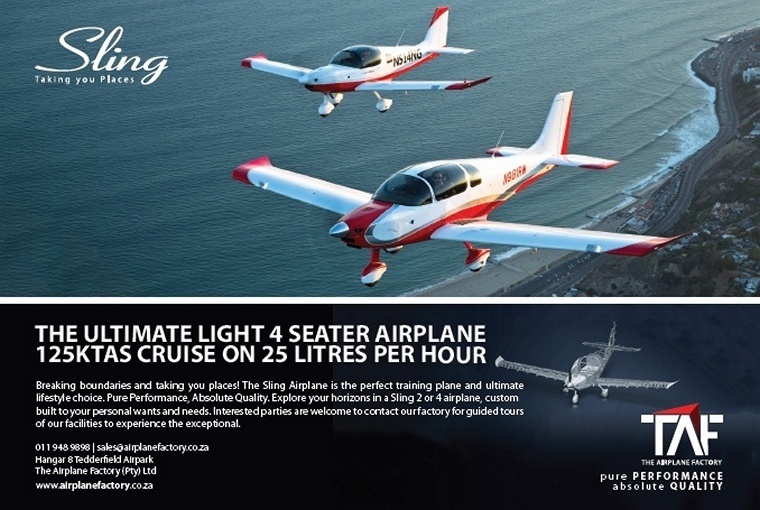 From the birth of the Challenger Cup, the pilots flew the two-seat Extra 330LX, sharing three Extras among them at each stop. Although the Extra did its job well, for 2018 the trio of race planes have been replaced with single-seat Edge 540 V2s. The Edge 540 V2 boasts exceptional performance capabilities and safety standards. Also, as opposed to the Extra, which was originally designed for aerobatics, the Edge is a fully dedicated race plane. Further, Hammond's expert team can put cameras in the new race planes - bringing fans much closer to the Challenger action. But perhaps most exciting for the Challenger Class contenders, and another reason for making the switch, is that the vast majority of the Master Class teams race a version of an Edge 540; albeit those race planes in the World Championship are thoroughly customised. When British Red Bull Air Race legend Paul Bonhomme clinched his record third World Championship in 2015, what race plane was he flying? An Edge 540 V2. And at that point Hammond was Bonhomme's technician, so when he says, "These planes will help the Challenger Class pilots assimilate into the Master Class," he knows what he's talking about. In fact, the three new Challenger Class planes already have a race heritage. Hammond explains, "They have all previously been owned by Red Bull Air Race pilots at different times, and they were all at different stages of modification, so we had to strip them back and make sure they're all the same." To produce the uniform standardisation necessary to ensure a level playing field in the Challenger Class, Hammond and his team devoted almost a year to working on the three Edge aircraft in Salzburg, Austria. "The new race planes have the same engine and propeller as the Master Class pilots - but with slightly different restrictions. They will have slightly less power and some other small changes," he reveals. "They've all been given new engines and new components, new wiring - and we've added new wingtips." Challenger Class pilot Kenny Chiang of China has already flown more than 40 types of aircraft in his aviation career, but still his anticipation for flying the Edge 540 is high. "I have only a handful of hours in an Edge, so I am really looking forward to getting to know more about this race plane," Chiang states. "I think this will make the Challenger Class racing even tougher and an even better stepping stone to the Master Class." The powerful Super Legend HP from American Legend Aircraft Company is a remarkably high performing aircraft. Best in class, it was designed for the ultimate in utility by incorporating the latest in technological developments. While derived from a long line of aircraft, the Super Legend HP takes versatility to a new level, all the while remaining a Cub at heart. The Super Legend HP gains its remarkable power from its Titan O-340 engine-a stroked derivative of the Lycoming O-320. The Titan is a 4-Cylinder, 340 cu in displacement engine capable of outputting over 180 hp, similar to the larger and weightier O-360. 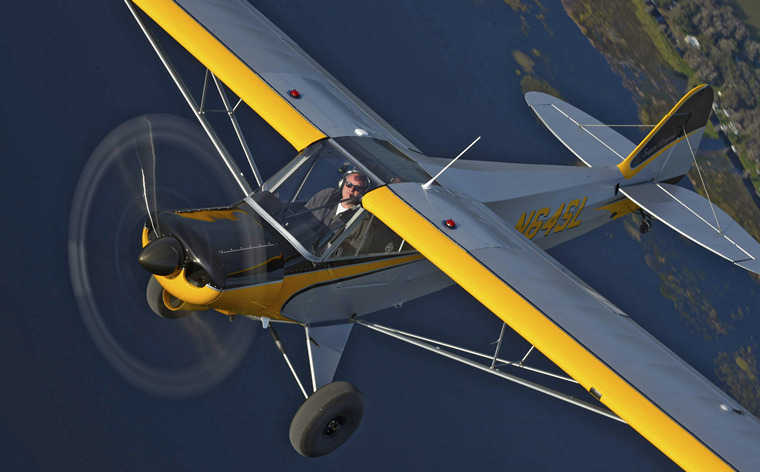 The Super Legend HP, with the Titan O-340, offers fast cruise speeds and the best ever take-off and climb performance in a light-sport Cub. Titan™ engines are part of Continental Motors Group. To qualify as light-sport (S-LSA), the Super Legend HP has a maximum take-off power limitation of five (5) minutes and a continuous cruise operations de-rating to 80 hp. Special lightweight custom paint and avionics packages are available to maintain Super Legend HP weight under S-LSA certification rules of 904 lbs. Textron Aviation Inc., a Textron Inc. (NYSE:TXT) company announced it has received an order for two Beechcraft Baron G58 and two Beechcraft Bonanza G36 aircraft from Egyptian Aviation Academy. These aircraft will join the academy's exclusive Textron Aviation fleet as they continue to modernize their training platforms. "The Beechcraft Bonanza and Baron are proven platforms ideally suited to train students as they transition into high-performance, turbine aircraft," said Bob Gibbs, vice president of Special Mission Aircraft. "We look forward to furthering our longstanding relationship with Egyptian Aviation Academy and providing support as they continue to grow and modernize their fleet." "The Egyptian Aviation Academy has chosen to continue its longstanding relationship with Textron Aviation's Beechcraft brand by replacing its legacy Barons and Bonanzas with the latest models," said Elias Sadek, chairman of the Egyptian Aviation Academy. "The reliability of the aircraft, the caliber of the after-sale service, the full support we receive from Africair, Inc., and the strong relationship we have with our regional Textron Aviation representative solidified the decision to continue with Beechcraft products," Sadek noted. 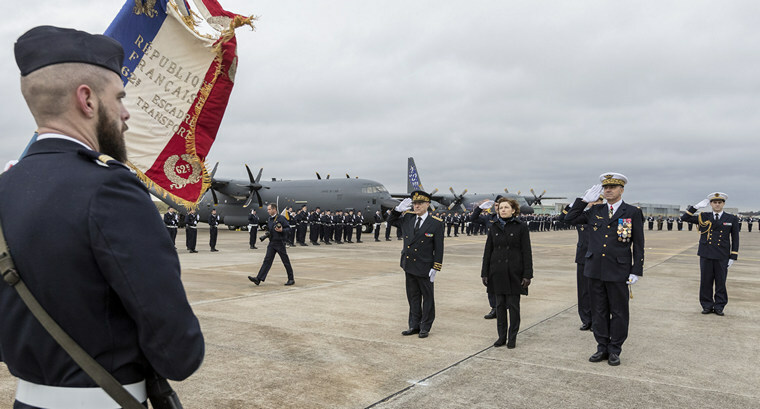 France's minister of the Armed Forces, officially welcomed the country's first C-130J Super Hercules aircraft to the Armée de l'Air's 62st Transport Wing with a ceremony at Orléans-Bricy Air Base today. Government officials from France and the United States also attended the ceremony, along with representatives from Lockheed Martin (NYSE: LMT). France will receive a total of four Super Hercules aircraft - two C-130J-30 combat delivery airlifters and two KC-130J aerial refuellers - through a Foreign Military Sale with the U.S. government, with deliveries taking place through 2019. The first of these aircraft (a C-130J-30 airlifter) was formally delivered to France in December 2017 at the Lockheed Martin facility in Marietta, Georgia, in the United States. "As a long-time Hercules operator, France has continuously demonstrated to the world the unmatched qualities and versatility found only in a C-130," said George Shultz, vice president and general manager, Air Mobility & Maritime Missions at Lockheed Martin. "France's new Super Hercules fleet delivers increased power, speed and capabilities to ensure that Armée de l'Air crews continue to meet - and exceed - mission requirements for decades to come." France is the 17th country to choose the C-130J for its airlift needs. The C-130J Super Hercules is the most advanced tactical airlifter in operation today, offering superior performance and enhanced capabilities with the range and versatility for every theatre of operations and evolving requirements. The Kaman K-MAX K-1200 Helicopter, powered with a Honeywell T53-17 engine Helicopter Express was founded in 1995 as a single call-when-needed helicopter operation for the United States Forest Service. 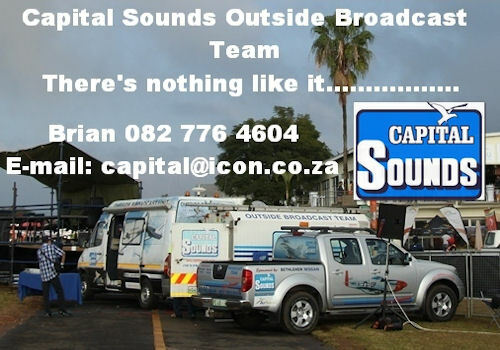 The seasonal contracts have since grown to a fleet of 22 mission-specific workhorses, and are dispatched worldwide for fire-fighting to heavy lifting, disaster relief, charter operations, aerial cinematography, and heli-skiing. One mission in particular, heavy lifting is accomplished in a small but mighty airframe powered by the Honeywell T53-17 engine, the Kaman K-MAX® K-1200 Helicopter. This single-seat helicopter has almost twice the lift capacity when put against comparable airframes and engines. The one-seat configuration allows the unusual flexibility of retrofitting for unmanned purposes, but with or without pilot, this wedge-shaped, bubble-window wonder can lift 6,000 lbs. without complaint, all day long, thanks to the venerable Honeywell T53-17 turbo shaft engine, with 1500 maximum continuous SHP (shaft horsepower). A particular contract that Helicopter Express was awarded came with a caveat; decrease the time and overall project costs for setting 41 individual 100' telephone towers along the major U.S. interstate I-70 in West Virginia. The typical tool for the job was a conventional crane, which meant (expensive) labor crew, closing the highway, disrupted traffic flows; and with an estimate of 1-2 poles set per day the project would take a month to complete. Helicopter Express called their specialized K-MAX up for service on this project. The T53-17 engine's reliability and capability to operate under high/hot conditions meant continuous heavy lifting without any performance degradation, with increased production. The K-MAX's nimble qualities with the T53-17 engine provided easier access and quicker response than conventional equipment. A month-long project with a conventional crane turned into a half-day project with the K-MAX K-1200 helicopter powered by the Honeywell T53-17 engine. Remarkably, this helicopter set a tower every 7-8 minutes, completing the project in 5 hours. No traffic impacts or control flows, no extra crew or expenses, with a whopping 99% decrease in time to complete the project. With those success factors, it's no surprise Helicopter Express added two more Kaman K-MAX K-1200 helicopters to their fleet of heavy lifters. That's serious lift in a single seat. Tanzania, Mwanza: A Fastjet Embraer ERJ-190 departing from Mwanza Airport on a flight to Dar es Salaam (Tanzania) with 83 people on board, was accelerating for take-off when the crew noticed a person in the middle of the active runway, attempted some limited evasive manoeuvre and continued takeoff. Climbing out of the airport the crew informed ATC, who confirmed a seriously injured person on the runway. After safe landing in Dar es Salaam the crew received information that the person on the runway in Mwanza had succumbed to the injuries. The aircraft did not receive any damage. Tanzania's Airport Authority reported a male, unknown identity, has died when he hit the departing aircraft on the runway. All security procedures had been followed. However, the long-term lack of a fence due to building and aerodrome enhancements works might have contributed to the person getting onto the runway. A safety investigation is underway. Columbia, Segovia: A Mil Mi-17-1V transport helicopter of the Colombian Army crashed near Segovia. All ten occupants were confirmed to have died. USA, Washington: An Ethiopian Airlines Boeing 777-300 on a flight from Washington Dulles, DC (USA) to Addis Ababa (Ethiopia), was climbing out of Dulles' runway 30 when the crew advised they had a hydraulic system failure and needed to return to Washington. The aircraft dumped fuel and landed on Dulles' about one hour after departure. USA: Severe vibration caused the crash of a Bell helicopter 525 Relentless that killed two pilots during testing in 2016, according to a final NTSB report published this week. Officials at the Fort Worth-based Bell Helicopter Textron say the company has made changes in the configuration of the aircraft's pilot controls in response to the crash, which occurred near the Ellis County community of Italy. "Bell and the NTSB have carefully studied the cause of the vibration, which had never been encountered before," company officials said Wednesday in a statement. "The vibration was the result of an unanticipated combination of very high airspeed with a sustained low rotor RPM condition. The in-depth analysis of the flight data resulted in a thorough understanding of the corrective actions necessary, and appropriate changes to the aircraft have been implemented." Turkey, Eskisehir Air Base: A Turkish Air Force CASA CN-235M-100 military transport plane on a training mission was destroyed when it impacted a snow covered hillside. The three occupants, two pilots and a technician, died in the crash and the aircraft was damaged beyond repair. The first meeting of the Experimental Aircraft Association takes place at Milwaukee, Wisconsin's Curtis-Wright Field. The EAA was founded in 1953 by veteran aviator Paul Poberezny along with other aviation enthusiasts. 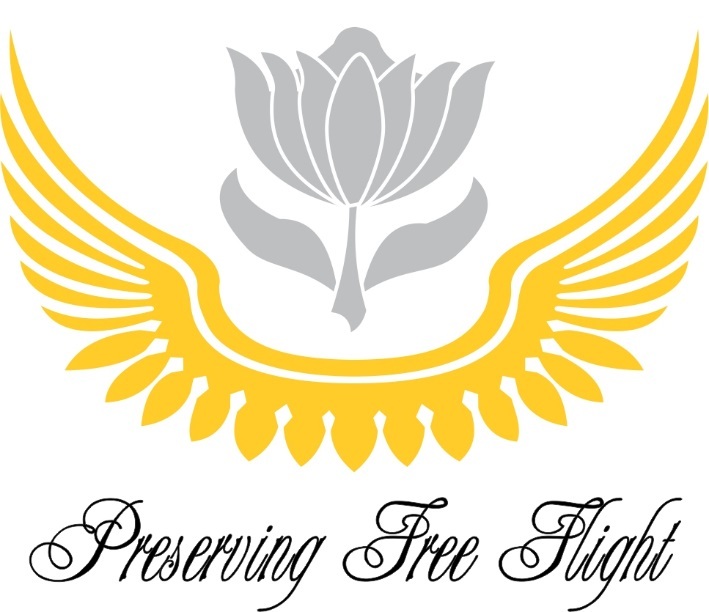 The organization began as more or less a flying club. Paul Poberenzy explained the nature of the organization's name, "Because the planes we flew were modified or built from scratch, they were required to display an EXPERIMENTAL placard where it could be seen on the door or cockpit, so it was quite natural that we call ourselves the "Experimental Aircraft Association"
An international organization of aviation enthusiasts based in Oshkosh, Wisconsin the Experimental Aircraft Association (EAA) has since its inception it has grown internationally with over 200,000 members and nearly 1,000 chapters worldwide. The organization is overseen by a chairman, a president, a CEO and a board of directors. Paul Poberezny assumed the duties of president and CEO at the 1953 founding. In 1989 he assumed the (newly created) position of chairman of the board, and his son Tom Poberezny became president and CEO. In March 2009 Paul Poberezny resigned, and the board voted to elevate Tom Poberezny to chairman of the board. At AirVenture 2010, it was announced that Rod Hightower would succeed Tom Poberezny as president of the organization, effective September 2010. Hightower resigned on 22 October 2012 and at a board of directors meeting during former Cessna chairman, president and CEO Jack J. Pelton was elected chairman.